This screen printing medium magically attracts more dye where it is applied. It doesn't stiffen the fabric, so the two-toned result is perfectly soft. 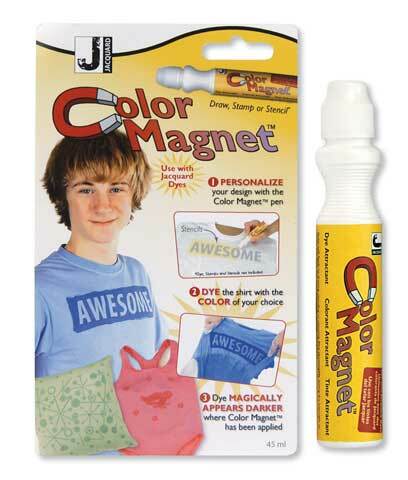 This liquid formula of Color Magnet is presented in a convenient pen. It is ideal for personalizing designs by drawing, stamping or stenciling. Available in a 45ml broad point pen.